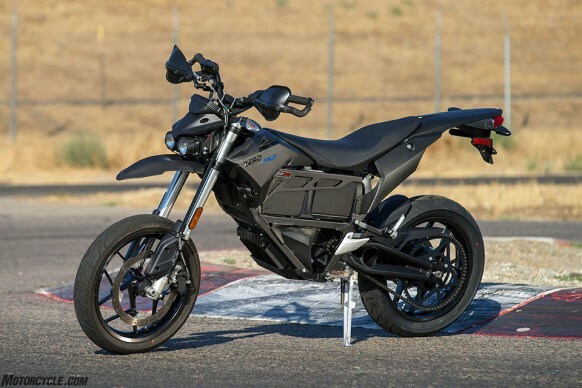 The Zero FXS was a fun companion around the twisty roads surrounding Alice’s Restaurant when we rode it at its launch in Northern California, but we didn’t get the chance to really put it – and the new IPM motor – to the test until now. Note the crash guards protecting the bars and the conversion to chain drive instead of belt. The purpose of the crash guards is obvious, but the chain conversion was to allow attendees the opportunity to try the dirt section at Adams. Belts are more prone to snapping in the dirt from the jumps.